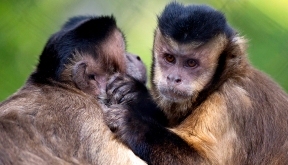 Researchers successfully modified an HIV antibody to extend the protection a single infusion provided to monkeys against a simian version of the virus. 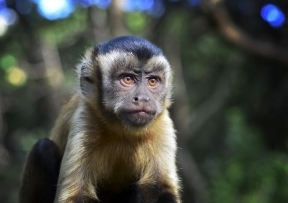 Publishing their findings in Nature, researchers studied three broadly neutralizing antibodies as pre-exposure prophylaxis (PrEP) in macaque monkeys. The researchers gave single infusions of one of three antibodies, called VRC01, 3BNC117 or 10-1074, to three groups of six monkeys. Next, they exposed the animals rectally to low weekly doses of SHIV, HIV’s simian cousin. The antibody infusions delayed the animals’ acquisition of the virus for up to 23 weeks. The length of protection offered correlated with each antibody’s half-life. Taking this into consideration, the researchers modified VRC01 to extend its half-life and then gave the modified version in a single infusion to six monkeys. On average, the modified VRC01 protected against SHIV for 14.5 weeks, compared with eight weeks among those receiving the original version of the antibody. Phase III trials recently began of VRC01 infusions as PrEP in humans. Results are expected in 2022.